Steve Wing (PBase gallery) is a visual artist and writer whose work reflects his appreciation for the extraordinary in ordinary days and places. He lives in Florida, where he takes dawn photos on his way to work in an academic institution. He’s a regular contributor to qarrtsiluni, as well as to BluePrintReview, where he has a bio page with links to some of his other publications. Yes, this is so lovely!!! amazing photo! 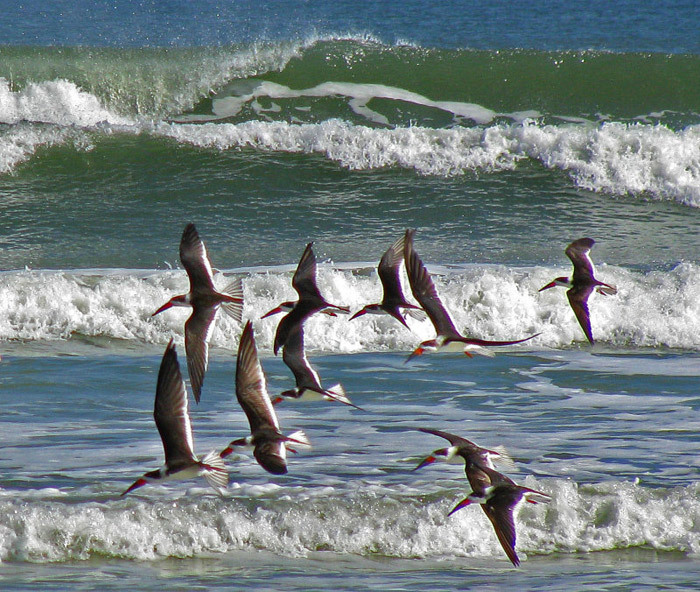 such a great dynamic of formations: the incoming waves, and the flock of birds.